MDC Alliance spokesperson Welshman Ncube has urged the Zimbabwe Electoral Commission (Zec) to urgently address opposition coalition leader Nelson Chamisa’s complainants over ballot paper printing or risk a national shutdown by disgruntled voters. 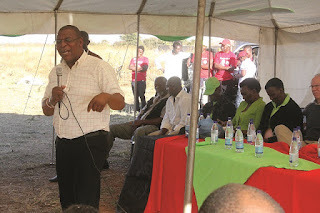 Ncube made the remarks while addressing MDC Alliance rally in Ntepe, Matabeleland South province on Saturday. “I want to talk about the ballot paper printing. Those who listen to the news and read newspapers, you heard Advocate Chamisa on Wednesday saying if the issue of ballot is not resolved, there will be no election, not that we will boycott the election, but there will be no election,” he said. “The ballot is important because the vote that must be on the ballot is the vote from you. The X that you place on the ballot is the one that should take someone to State House. Not the X that is put at KGIV (army headquarters) in which the ballot is put secretly and when you put your X later on your X disappears and the one put at KGIV is activated. He said it was important that when the ballot papers were transported from the polling stations, party agents must be there, observing that they are not changed along the way. Ncube said this was the other way to guard against theft of votes. “That is why we say what they are doing to print the ballot alone no, no, no. 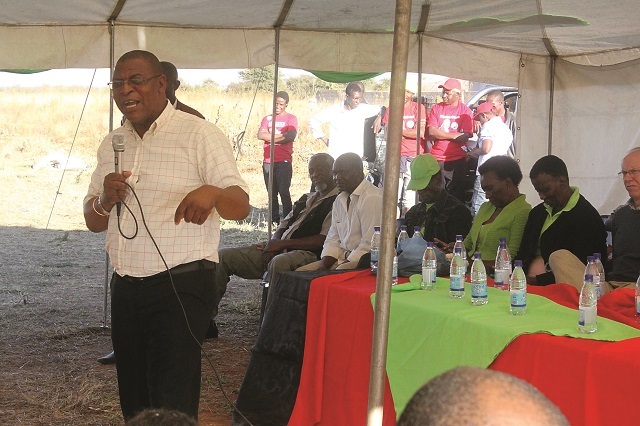 We are saying the ballot printed where we are not there will certainly not be used in the July 30 election, we are not saying we will boycott, but we say there will be no elections,” Ncube said without clarifying how they would block the polls.